Kids experience a lot of problems with ADHD…some inadvertently caused by their parents. Now, don’t get me wrong…these are well-meaning parents. These are the ones who come into my office and immediately let me know in no uncertain terms, “I’m not putting my kid on drugs.” Well, that’s actually OK—because I don’t prescribe medication. But what I will do is thoroughly evaluate a child to determine if he, in fact, has ADHD. And, if he does…then, the parents and I need to talk. As a child psychologist, it’s my job to make the best recommendations I can. Then, it’s the parents’ job to decide to follow them or not. I treat all my patients (“my kids,” as I call them) like my own and therefore the recommendations I make are the ones I would follow if this was my own child. And, what I have found in over 25 years of working with kids is that medication has had the most positive effect in helping kids who have problems with ADHD. The improvement in their attention, focus and behavior can be astounding. I even work with parents who delay following their physician’s advice finally “give in,” and then wonder why they waited so long. Medication for children who are truly and accurately diagnosed with ADHD can help alleviate the problems with ADHD. It’s just like being told your child has diabetes and needs insulin. Would you argue with that? No! Why? Because it can be measured. You can take a blood test and see exactly what the insulin level is and then compare that to what it should be. Then why are parents still so resistant? For several reasons that I totally understand and respect. First off, ADHD isn’t always understood for what it is…a chemical imbalance. The reason kids have problems with ADHD, including difficulty paying attention, sitting still, etc. is because they are not producing the right amount of chemicals in their brains that allow their bodies to manage those tasks properly. So, once it’s understood that ADHD is a biochemical condition, why not balance out their child’s chemicals? Secondly, one of the problems with ADHD is that there is no blood test, chemical test or actual test of any kind! We only have observation, behavioral reports and tests of attention, processing and so on. It would be much easier if we could stick a needle in a child’s brain and pull out the neurotransmitter reading for attention, focus and staying still. But because we can’t do that, it’s more difficult for parents to agree to supplement a chemical deficit that we can only speculate about. And, because diagnosing ADHD is not an exact science, parents are more inclined to seek alternative treatments before considering the one that has been proven to be the most effective. So, they look for a diet, a natural supplement or even a can of Coke or coffee to avoid using medication. Or, parents look to creating a more suitable environment free of distractions and providing longer time limits to accommodate the inattention. You find out your child needs glasses. There is no blood test and the eye tests are all subjective (based on the report of the child.) But, you might decide that you really don’t want to have to put glasses on your child’s face, so you look for other alternatives. I guess we could sit your child really close to the board, give him LARGE PRINT books and have someone walk with her to navigate her around her surroundings. Or, we could put glasses on her face. •	Want to know when she’ll outgrow her need for glasses or what she can do to not have to wear them anymore? 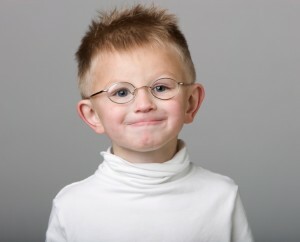 And, the amazing thing about glasses is that once the prescription is right—your child’s sight improves immediately! AND better yet—the glasses don’t change your child’s personality at all. They just help her see better—by correcting her visual deficiency. The idea of refusing your child glasses or restricting the visual correction in any way seems absolutely ludicrous. And, having seen how much medication can help the problems with ADHD, I see these two scenarios of equal merit. Just like with glasses, when an ADHD child is prescribed the right medication and the right dose, his attention, focus and performance can improve immediately! AND better yet—the medication doesn’t change his personality at all. It just helps him self-regulate better—by correcting his biochemical deficiency. What do you think about this analogy? Do you have a child having problems with ADHD? What interventions do you use? Please feel free to leave a comment about the Problems with ADHD in the box below. I would like to say thank you for offering additional information on children who might have ADHD. My oldest grandson who lives in California was diagnosed with it and does take medications once a day. He is 11 yrs old and he himself takes responsiblity before he leaves to school. We know when Anthony hasn’t taken his medication because his personality, body language and mood swings appear. It is always good to learn more so we as parents/grandparents can understand what the child is going through and not get upset with him or her. Thank you for this article. It is indeed difficult for a majority of people to understand any chemical imbalance at all. The information in your article is very clear and the examples and comparisons make it much easier to understand ADHD. I totally agree that children who have problems with ADHD can most certainly benefit from the right medication. However, what I observe is an insane amount of ADHD diagnosis. Are there really that many children with a chemical imbalance? Doesn’t a part of the issue stem from the fact that adults forget that children are children? It seems the moment a child has a lot of energy and doesn’t listen well, families cry possible ADHD. Early on, we demand a lot out of our precious little ones. They are subjected to a tight schedule with daycare center, school, evening and/or weekend activities, parents who both work and who sometimes live in two different houses. Children constantly have to adapt, adjust, follow, perform, etc. Parents are tired and have less patience. Children demand – in any way they can – their parents’ attention, that they often don’t receive in a proper way (because parents are tired). I am not saying ADHD doesn’t exist. Of course it does, and it is important that parents be well informed about it. But my hope is that medication is given only after a lot of observation and attempts at changing some behaviors that may simply be habits formed from a lifestyle that is not suitable for little ones. Is there a possibility that some of these children are simply not given enough of a chance to be children? Is there a possibility that us, adults, are trying to make children fit into certain molds, and fail to remember that everyone is born different? Thank you very much for posting this wonderfully thoughtful, well reasoned and well written article. We will definitely share this with families at our practice. Best wishes from your friends at Kidspace in San Francisco! Medications cause my son side effects that are counterproductive. Mood swings, major anxiety, chest pains at times (yes, I had his heart checked & its fine), tics & sleeplessness. Off medication he does have moody & unexplainable behavioral issues at times (& nervous/focus issues always) but when school is out, Id much rather deal with the behavioral issues than the ones that come from a pill that I chose to give him. Right?? Its such a hard position as a parent! Fish oil & B vitamins ‘help’ but definitely no cure. His psychiatrist suggests adding MORE medications, and I just dont think its ‘bad enough’ for that…Suggestions, please?? 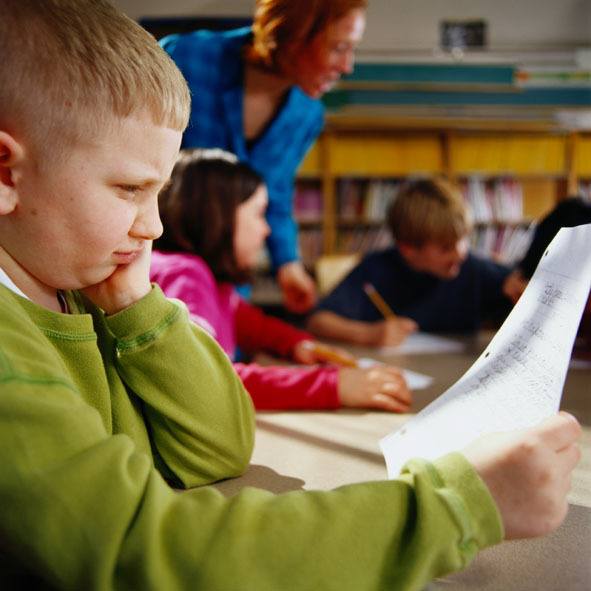 There are some kids with ADHD who just do not respond well to medications available. And, I am sure that it must be scary to think about trying some other kinds/combinations when your son has experienced such negative side effects. I am not a medical doctor, so I cannot comment specifically about what you should do. I will, however, share some of my own observations and experiences with the many, many kids I treat with this diagnosis. There are a number of other kinds of medications that are now being used for treating kids who do not respond well to the stimulants, including some anti-depressants (such as Wellbutrin), Strattera, some hypertension drugs and some that used to be used only for seizure disorders. You might discuss these alternatives with your physician. Now here’s another issue that I want to share, although don’t want to alarm you. I am in no way trying to diagnose your son. Just trying to give you other things to consider. It has been my experience that many of the kids diagnosed with ADHD who have been the most difficult to treat with ADHD medications have been misdiagnosed, and many have actually been later diagnosed as bi-polar. In fact, one of the indications to consider this diagnosis has been the poor response to typical ADHD drugs. So, if your son hasn’t had a real comprehensive psychological assessment, I would suggest seeking the services of a child psychologist who can try to tease this out. There are many possible causes for symptoms that look like ADHD; be sure that you have a correct working diagnosis before attempting other kinds of medications. I would be very interested to hear the results of any follow-up you do. Please feel free to continue this conversation with me. I have twins diagnosed with ADHD and Autism spectrum at 2 seperated times. It took us over a year to get their meds and therapy correct. They are doing pretty well. The only downside is the side affects of nail bitting. We are working on that for sure. Parents you know what your gut is saying. Trust it. It does still take a lot of work and effort to help keep your children focused. Medication is not the cure all. I do therefore want to see that my twins will not need these meds in the future to focus and strive to be independant and productive. Thank you for your comments. I am glad that your kids are doing well. I want to caution you about your goal of having your kids off medication. ADHD, for example, is a neuro-biological condition. In other words, there is a chemical imbalance of some kind that affects your kids’ abilities to focus and concentrate. Medication balances out these chemicals so that they can function at a normal level. Medication, as you say, doesn’t cure it. It only helps correct the condition while it is in their systems. That is exactly why they may always need the medication—to continue balancing out the chemicals! Please do not make being medication-free the goal—rather, let your goal be that they are functioning independently and productively…period! You acknowledge there is no test to determine such deficiency, but then go right back to saying it exists. You clearly missed something in your reasoning, and your bias shows. Both the pharmaceutical and psychiatric industries have done a wonderful job of brainwashing America! Oh, how sad.